Michael Schmidt was born in Mexico in 1947. He studied at Harvard and at Wadham College, Oxford. He is Professor of Poetry at Glasgow University, visiting professor at Bolton University, and Writer in Residence at St John's College, Cambridge. He is a founder (1969) and editorial and managing director of Carcanet Press Limited, and a founder (1972) and general editor of PN Review. He has written poetry, fiction and literary history, and is a translator and anthologist. A Fellow of the Royal Society of Literature, he received an O.B.E. in 2006 for services to poetry and higher education. Wadham College, Oxford, Exhibitioner, 1967-1971, B.A., M.A. Agenda, The Author, The Correspondent, Critical Quarterly, Daily Telegraph, Encounter, Financial Times, Guardian, Independent, Letters, Listener, London Review of Books, Daily Mail, New Statesman, Notes & Queries, Prospect, Salisbury Review, Sunday Telegraph, Sunday Times, The Times, Times Higher Educational Supplement, Times Literary Supplement, Tribune; and abroad: Kenyon Review, New York Times Book Review, Poetry (USA); Books from Finland (Helsinki), Plural (Mexico), Vuelta (Mexico); also essay contributions to and introductions for books and poetry collections. Television: Contributions to Newsnight, The Late Show, Start the Week. Carcanet Press was established in Oxford in 1969 and moved to Manchester in 1971 when a Special Lectureship in Poetry, funded initially by the Gulbenkian Foundation, was established at the University of Manchester by Professor C.B. Cox to bring the publishing venture to the city. Carcanet, wholly owned by Lord Gavron’s Folio Holdings since 1983, is a substantial client of the Arts Council of England. It produces 35-50 new titles (print and e-book) and 40 reprints a year, having an in-print backlist of 800 titles. It has a full-time staff of four and two part-time employees. It concentrates on poetry (new and classical, English and translated, with a bias towards Commonwealth but a strong American list). Its small fiction list is distinguished in the area of translations of European writing and English experimental writing. 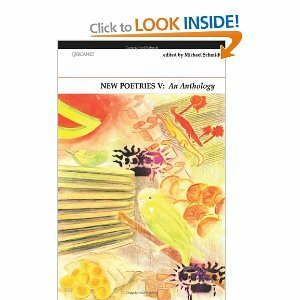 In 1999-2000 Carcanet took over the Oxford University Press poetry list. The Carcanet web site is a valuable research tool. FyfieldBooks, established in 1970 and now published jointly with Routledge New York, exists to provide inexpensive introductory selections of writers (poets, artists, divines) whose work is otherwise hard to come by. The series addresses general readers and students at upper secondary and tertiary level. Over 100 titles have been published, most edited by professional scholars and critics; some are established academic texts. The list now includes poetry and prose in translation as well as primary English-language texts. Carcanet’s poetry list publishes new writers from all over the English-speaking world, poetry in translation from classical to modern times, and a list of rediscoveries • in Collected or extended Selected editions (the Pléiade) of writers of this century and of major living poets due for reappraisal. 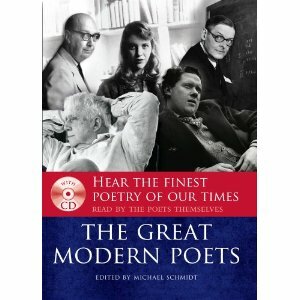 The Pléiade stretches from the modernists Wyndham Lewis, H.D., William Carlos Williams, Ford Madox Ford, Mina Loy, Hugh MacDiarmid, Robert Graves and Yvor Winters, through neglected figures of the 1920s and 1930s including Edgell Rickword and I.A.Richards (as poet) to the New York School (Ashbery, Schuyler, O'Hara, Koch) and British writers like Elizabeth Jennings, Edwin Morgan, Iain Crichton Smith, F.T.Prince, E.J.Scovell, Donald Davie, C.H.Sisson and many others. PN Review was established in the Department of English at the University of Manchester in 1972, as a twice-yearly hardcover journal, Poetry Nation. After three years it became quarterly, and then bi-monthly. For over thirty years it has published new poetry, essays, reviews, interviews, translations, fiction, news and notes, reports, letters and editorials and is regarded here and abroad as one of the distinguished journals of our time. It combines discovery and appraisal of new writing with reappraisals, 'scrutinies' and extended advocacies, and it has published important special issues, the first being the controversial Crisis for Cranmer and King James. Important supplements were devoted to Charles Tomlinson, C.H. Sisson, Donald Davie, I.A. Richards, Thom Gunn, Laura Riding, Sylvia Townsend Warner, Edgell Rickword, George Barker etc. PN Review has subscribers throughout the world and casual sales through the book trade. It is a client of the Arts Council of England. PN Review is available on line and annually back issues are added. In time the entire run of the magazine will be available in fully searchable form, a major student and research resource. Papers – manuscripts, drafts, proofs, correspondence etc – were acquired by the John Rylands University Library in 1991, as part of the modern literature archive project.